Chief Jim Hopper, the man with the sweet dance moves, has inspired one brewer to craft beers in honor of The Upside Down. 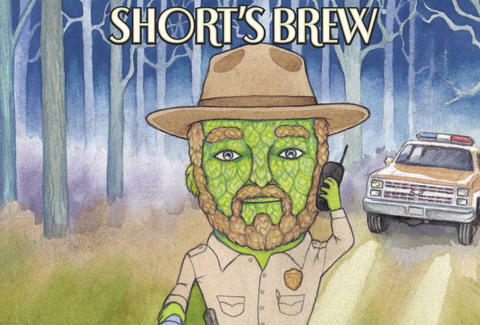 The surly yet resourceful police chief has Short's Brewing Company in Bellaire, Michigan making a hop-rich double India pale ale in the chief's likeness. It's called Chief Hopper and, yeah, that's pretty much perfect. Like its namesake, it's bitter (82 ibu) and surprisingly strong (9.2% abv). While some clever folks have ferreted away a little Chief Hopper for the Season 2 premiere, the bottles you may have seen on social media are no longer available. They were a part of a special release in the spring that is not ongoing. However, if you're in Michigan, you can throw yourself a little Stranger Things beer hootenanny, because Short's Brewing has made a total of three Stranger Things-themed beers available exclusively in the taproom. On top of Chief Hopper, there's Run, a sour stout "aged in a mix of Two James Rye Whiskey barrels and Madeira casks" then "fermented with dried orange and dried local cherry," a spokesperson tells Thrillist. 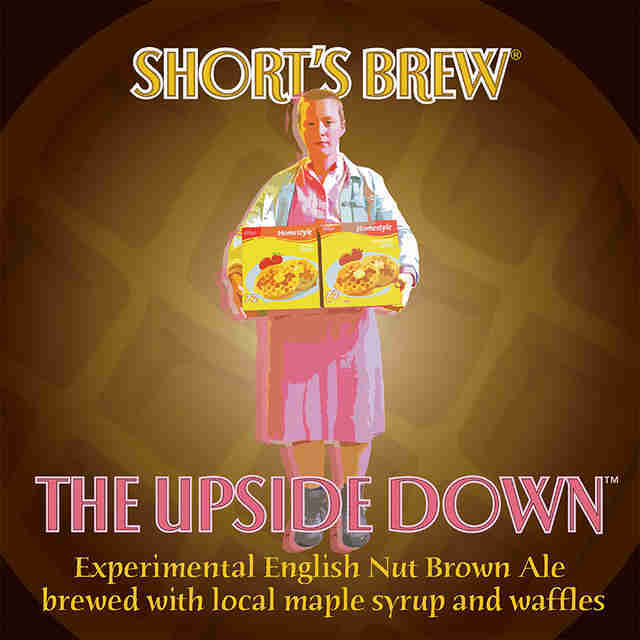 There's also "The Upside Down," which is an Imperial Experimental English Nut Brown Ale made with waffles and local syrup. It was also probably brewed in the presence of joyous high fives because the whole thing is wonderful. The names of the beers are so good they make you want to sit around and come up with names for hypothetical Stranger Things-themed beers. Merril's Field, a pumpkin ale? Still Pretty, a blonde ale? Inside Will, a beer brewed with giant slugs?